Given two variables or more variables of interest, we can measure the degree and direction of their linear association using correlation analysis. A correlation of 1 indicates a perfect linear relationship, while a correlation of -1 implies a perfectly negative linear relation. A value of 0 means there is no association at all. 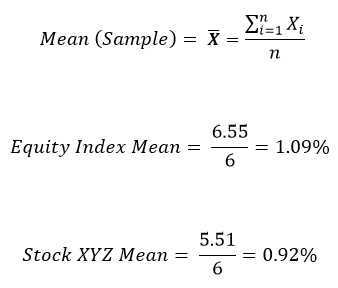 Assume we have the following data series for 2 variables of interest: (1) An Equity Index (2) Stock XYZ. They represent each variable’s return (%) for a 6 month period. Sample size (n) = 6. Correlations can be highly sensitive to outliers that are present in the data of variables. For example, for a set of observations with outliers, excluding such anomalous data could make a significant impact on the correlation coefficient. Of course, this also introduces another challenge. Does it make sense to include such outliers or not? Perhaps they contain relevant information. Correlations could also suggest a relationship between variables, even when none actually exist. This could be attributed for example to mere luck. Another possible explanation is the interaction of the two variables with a third variable. Correlation is a measure of the strength of linear association between 2 or more variables. The returns of two highly correlated stocks for example, tend to strongly move in the same direction. The use of correlation analysis extends to numerous important fields. 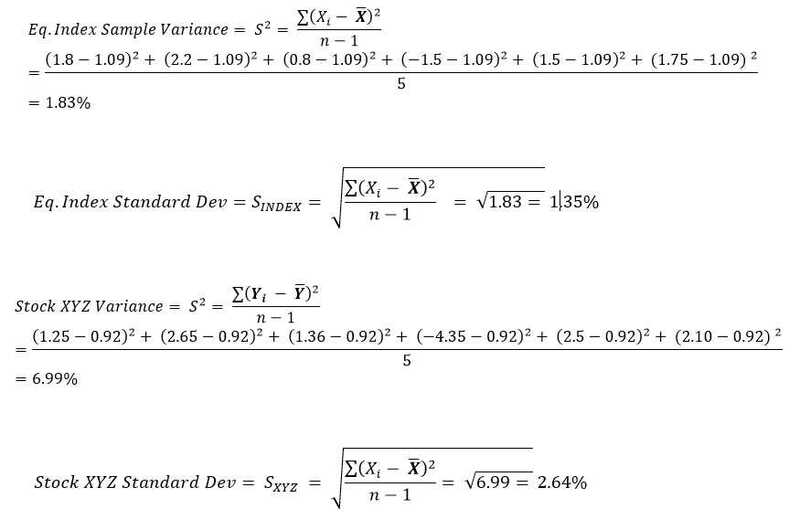 For example, in finance, correlation analysis can be used to measure the degree of linear relationships between interest rates and stock returns, money supply and inflation, stock and bond returns, and exchange rates. Some of its short-comings include its unreliability, sensitivity to outliers, and the suggestion of linear relationships where none exist. As such, its interpretation should be viewed cautiously as investment decisions made on biased correlation analysis can lead to (and it has) costly financial decisions.